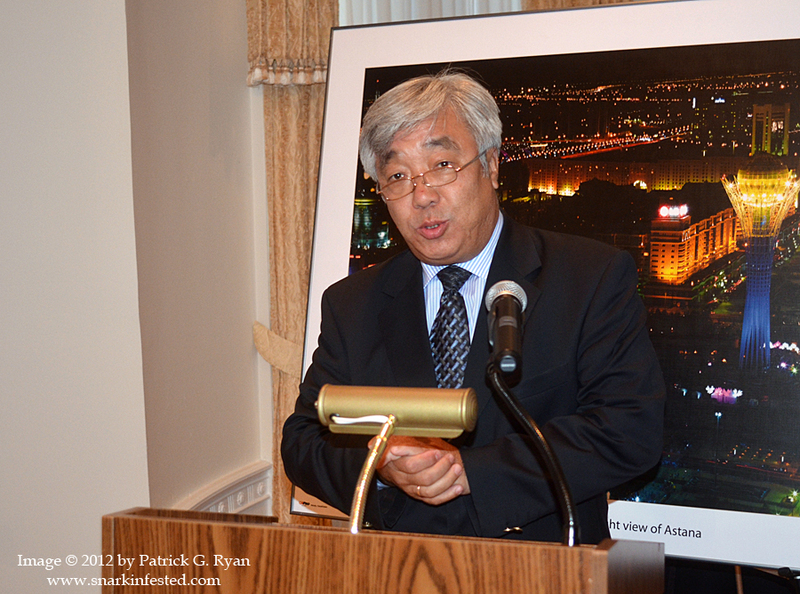 08/16/12 Kazakhstan’s Ambassador to the US, Erlan A. Idrissov, hosts a luncheon at the embassy in DC on Thursday to celebrate Kazakhstan’s remarkable recent showing at the London Olympic Games. Kazakhstan won 7 gold medals, 1 silver and 5 bronze, placing itself as the 12th best in the world when counting gold medal victories. In terms of new records set during the Olympiad, Kazakhstan took 4th place after the US, China and Russia. The Ambassador, who was in London for the games, credited horse meat as their secret weapon which enabled their athletes to do so well and said the entire country was excited and inspired by the games.